Blue Badge Guide and native Londoner Erica Moss has been leading bespoke tours for a mainly American clientele for nearly four years. Following a first career in journalism, Erica decided to undergo the rigorous training required to gain the London Blue Badge, considered the Gold Standard of tour guiding. Since qualifying, Erica has created a repertoire of over 40 different tours. Each tour she gives is then refined for a particular client’s wishes and desires, with the aim of making it fun and interesting in a way they will always remember. One day she might be guiding three generations of the same family through medieval London, the Jewish East End or British rock and pop history, the next she could be leading a honeymooning couple on a chauffeur-driven foray to Windsor Castle, Oxford or Stonehenge. As Erica tells us, “I think of myself as the London Genie: the client rubs the lamp and I am the genie that comes out of the bottle. 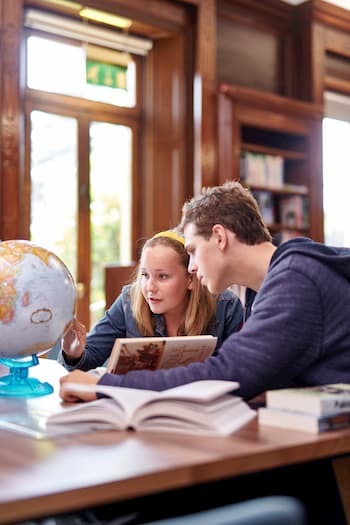 I especially love it when clients share their own knowledge and experience or come up with new and interesting questions during a tour.” She considers it a genuine pleasure to spend time with Americans and share with them because “their openness and directness makes me more direct and open myself”. What might clients expect on one of her tours? “Lots of walking, fun, views and sights that are not obvious-- off the beaten track stuff. I like to aim for the ‘Oh Wow’ factor. Why does she do it? “I really love sharing. London is a world city and my city; it’s brilliant and I like showing it off. It’s always personal. While a client is with me I’m their new best friend and I’m going to look after them”. Current fees for a Blue Badge Guide start at around £158 per half day and £255 per full day. Nestled in the high street of the charming village of Great Missenden in Buckinghamshire, can be found a museum unlike many others. 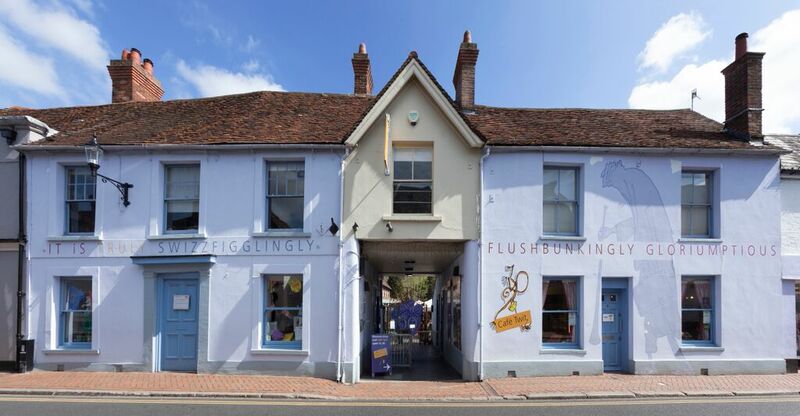 This museum has children at its heart, and seeks to inspire visitors to tell their own stories and become real-life authors themselves, through discovering the world of Roald Dahl. The award-winning museum, aimed at 6 to 12 year olds and their families, is currently celebrating its 10th birthday. It is by no means large, but manages to pack a lot into its three galleries.The first of these is named ‘Boy Gallery’, in reference to Dahl’s autobiographical book of the same name. Stepping through the large chocolate door s, you will discover how Roald’s experiences at school inspired many of his stories. Among the photos, funny anecdotes, and letters from the archive, are interactive displays that will keep both adults and children amused through touch screen and hands-on activities. Moving on to the second gallery; ‘Solo’, again a reference to Dahl’s book ‘Going Solo’ that describes his adventures as a pilot, there is lots to explore. Our party included 4 boys between the ages of 5 and 12, and all of them were clamouring to explore the cockpit of a World War Two Gladiator plane, a copy of the one Roald flew, before measuring themselves up against Dahl’s characters to find out if they were as tall as an Oompa Loompa or The Grand High Witch! But, the most fascinating exhibit for me was the‘Writing Hut’. 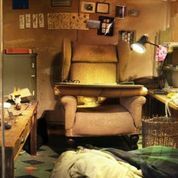 The museum carefully and painstakingly removed the actual interior of Roald Dahl’s favourite place to write, namely the shed in his garden, and transported it piece by piece to the museum. It is full of curios and pictures and then there is Roald’s writing chair and lamp. It doesn’t take much to imagine the man himself sitting there at work. The gallery is also packed with interactive screens, displays and activities that invite you to discover facts about the stories, watch animations, and even test your spark factor on a ‘Sparkometer’! The third gallery named ‘The Story Centre’ is a place for imaginations to run free.You could easily spend an hour or more in this gallery alone; there is so much to do. Technology is cleverly used to inspire creativity; through the ‘stop frame animation‘ activity that kept our group captivated for what seemed like hours, to the cinema area where a film plays of various well known children’s authors talking about how they get their ideas. There is also the chance to dress up as characters from Dahl’s stories, invent your own made up words, cut and stick your own character and sit in a replica of Roald Dahl’s writing chair. The museum extends into an attractive courtyard area, where there is a café, shop, and areas for workshop and craft activities; namely Miss Honey’s Classroom and George’s Crafty Kitchen. The museum offers a comprehensive programme of special events for visitors at a small additional cost; anything from songs and storytelling, to cookery, circus skills and crafts - there is something to entertain almost everyone! For details of these special events check out the website at www.roalddahl.com/museum. On the day we visited, we had not booked a special event, but there was storytelling going on in Miss Honey’s Classroom (these sessions are free and run at weekends) which we joined in with. The children thoroughly enjoyed getting involved with tales from Roald Dahl’s Revolting Rhymes, led by a very enthusiastic and energetic ‘storyteller’. In spite of my 41 years, I thoroughly enjoyed my time at the museum. I was, and still am a great fan of Dahl’s stories, having read them as a child myself and revisited them more recently with my own children. Many would argue that Dahl is the best children’s author of our time, and with so many of his stories being made into films and musicals, his popularity lives on. If you have enjoyed any of his stories, or if you have school-aged children, then a visit to the village he called home for 36 years, and the museum within it, will be time well spent! Shakespeare’s Globe is one of the world’s greatest open air theatres, a painstakingly faithful recreation of the original 16th century playhouse which stood a hop, skip and a bow away from the current Thameside location and where many of the Bard’s works were performed for the first time. The original Elizabethan Globe thrived until an unfortunate accident: a stage cannon misfired into the theatre’s thatched roof mid-performance. In less than one hour the entire theatre had burned to the ground. The reconstructed Globe was founded by late expatriate American actor, activist and tireless fundraiser Sam Wanamaker. Since its debut in 1997, the Globe has been a success story beyond all expectations. Whether you’re a literary scholar or virgin ‘groundling’, a visit to the Globe Theatre during its annual April to October season is simply a must. ‘Justice and Mercy’is this season’s theme, and includes top-drawer productions of Merchant of Venice, As You Like It, Measure for Measure, King John and Richard II, with a number of shows touring the UK and abroad. Globe seats sell out fast, but 700 groundling tickets are available daily for an astonishing £5. This gets you a standing spot in front of the stage, we think the best and most authentic way to see a show. 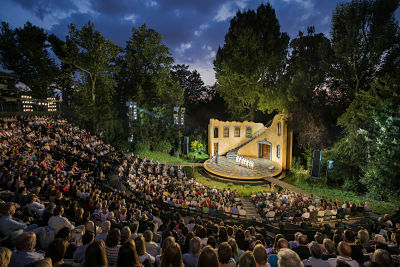 For another unique summer theatrical delight, it’s a short trip north to Regents Park Open Air Theatre, splendidly set amidst the lush overgrowth of London’s most beautiful Royal Park. A showcase for award- winning theatre from May to late September for the past 83 years, it’s renowned as a place to see outstanding new talent likely to become tomorrow’s stars. Historically this has included Judi Dench, Vivien Leigh, Ralph Fiennes, Richard E. Grant, Sheridan Smith and many more. This summer’s programme boasts classic American musical Seven Brides for Seven Brothers, Peter Pan, The Seagull and a critically acclaimed production of Lord of the Flies, prior to its major UK autumn tour. The theatre can be notoriously hard to find - only adding to its charms - so if you’re a first time visitor be sure to leave a little extra time for the search. You’ll know it’s worth it when you pass through the semi-hidden gates and enter a secret garden of delights complete with rambling picnic lawn, BBQs and the longest bar in London, twinkling with fairy lights. Be forewarned that the Globe and the Open Air Theatre are verily open to the elements and whatever the weather the show will (almost always) go on. But come rain or shine - and yes, we’ve witnessed hail, lightning storms, sweltering heat and set-shaking winds - we promise your visit will be a magical experience. Photo: Sunset over Regents Park Open Air Theatre, photo by David Jensen.